Think of restorative dentistry as your right hand in helping you reach your aesthetic goals. Not only does it correct your smile, but it also restores your teeth’s function. Sumity Sharma, DDS, at California Happy Teeth Family Dentistry helps men and women living in Milpitas, California, get the results they want quickly, cost-effectively, and with a long-lasting impact. Get in touch with the office today by phone or online to learn more about restorative dentistry. Restorative dentistry refers to the treatment of oral disease. Also called prosthodontics, restorative dentistry includes a wide range of services, each one with the task of restoring a tooth’s function, protecting the enamel, and correcting any aesthetic imperfections in the process. Restorative dentistry includes various procedures that address missing or damaged teeth. In some cases, Dr. Sharma recommends a restorative procedure following a trauma-related event. If you’re suffering from a cavity, Dr. Sharma recommends cavity fillings to stop decay from spreading to the tooth’s root. Cavity fillings give your smile a natural look and significantly reduce your risk of tooth decay. 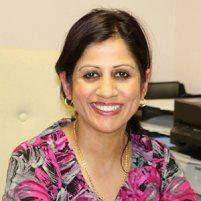 Porcelain veneers are thin covers that Dr. Sharma fixes to the outside of your teeth. Veneers effectively hide imperfections, such as gaps, chipped teeth, or discolored enamel. Lumineers function similarly to porcelain veneers. However, they're made from an ultrathin material that allows Dr. Sharam to affix them without touching the structure of the tooth in question. She captures an impression of your bite during the first appointment, sends the image to the lab for manufacturing, and has you come in for a second placement appointment. While Dr. Sharma offers cutting-edge treatments like dentures and bridges, she also offers metal-free options, such as crowns, to address any imperfection or damage. Bonding works similarly to veneers, though it uses the same material used in fillings to conceal cosmetic flaws. Do restorative dentistry and cosmetic dentistry work together? In most cases, restorative treatments also include an element of cosmetic intervention. This entirely depends on the issue Dr. Sharma treats and what you’re looking to get out of the treatment. When you book your first appointment with Dr. Sharma, she spends time discussing your goals and establishes the best course of action. In most cases, she first starts with restorative treatment to restore your tooth’s function. From there, she can discuss ways for her to amplify your smile’s aesthetic appeal. Get in touch with California Happy Teeth Family Dentistry by phone or online to book a restorative consultation.